Why pay to have water hauled away by a pumping company when you can effectively and economically evaporate it off? 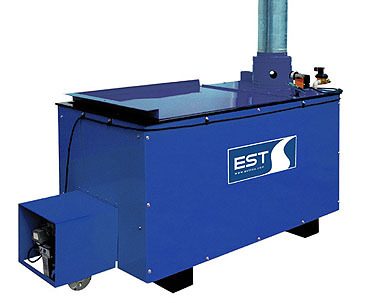 EST evaporators are utilized to dispose of waste water from waste streams including truck washing, pressure washers, phosphate pre-treatment and various other waste streams. Evaporators can be used as a standalone system or coupled with a filtration system to dispose of excess waste water. Waste water evaporators allow our customers to meet EPA Clean Water Act regulations and effectively and economically dispose of water.